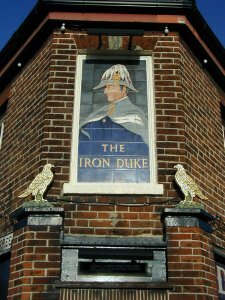 First licence issued 16.11.1937 to Harry Burgess for premises to be known as the IRON DUKE. 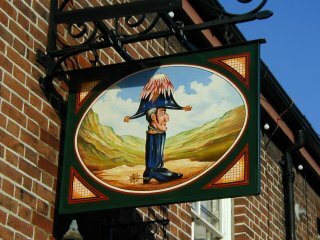 Renamed the DUKE OF WELLINGTON by September 2002. Extended into adjoining terraced houses on both streets. Caribbean Bar : With fake palms and fruit etc., used for dances. Waterloo Bar : Artificial brick walls decorated with swords and pistols. 1875 print of Blucher and Wellington at Waterloo. Reprint of Times for 22nd July 1815 reporting the Battle of Waterloo.